Don't assume your budgeting days are over just because you're retired. 1. What Do Really Smart People Do to Make a Nest Egg? Fantasies of retirement as your carefree, golden years are what many workers look forward to, but the reality is often a little more tarnished. 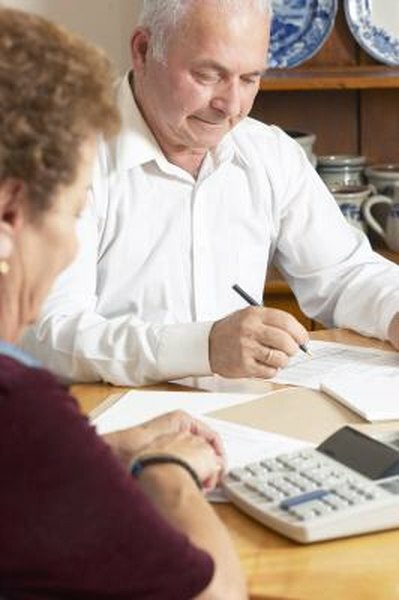 Learning to live on a fixed income means learning how to manage your money in retirement. It's best to start before you stop working, but even if you've already started drawing down your retirement income, it's never too late to start managing your money better. The time to start thinking about managing your money during retirement isn't after you've already eaten the retirement party cake and showed off the gold watch. Start considering how you'll need to spend your retirement income at least two years before retirement, when you're near enough to retirement to have some idea of your debt and anticipated expenses versus your projected income. Your last few working years also are the best time, tax-wise, to make additional contributions to a 401(k) or IRA, giving your retirement budget some extra padding. Whether you're still working but considering retiring, or have already made the leap to retirement, it's courting financial peril not to create a budget to help you manage your retirement income. The key to a successful budget is realistically anticipating your income and your expenditures -- that means accounting for every cent. In addition to the expected, regular expenses such as mortgage, insurance and taxes, try to estimate as closely as possible the expenditures that are irregular or unexpected but can leave you in a financial bind, such as home repairs or improvements, health care costs and even vacations or other travel plans. Making a budget, however, is only half the task -- sticking to it is just as important. Retirees often "have no idea how much they spend. Overspending is the most common problem we see," certified financial planner Mari Adam, tells MSN Money. Track your spending, itemizing purchases so that you can see just where your money goes. Doing so will help you know whether your budget is a viable one and where you are overspending, and, just as often, whether you are under-saving. One mistake many retirees make when managing their money is the one-two punch of the cash grab followed by the hands-off approach. Taking all your retirement income savings -- Social Security, IRA, 401(k) and, if you're lucky, your pension -- as soon as you retire, whether you actually need the money or not, often means missing out on additional money you could earn by leaving your money until you really do need it. Follow that with putting all your retirement eggs in similar low-yield investments, such as CDs or bonds, and you're costing yourself even more. Low-yield investments may not keep up with inflation, leaving you at risk of running out of funds before your golden years are over. A financial planner can help you balance your investments to create the right mix of risk and return. Where Should I Invest My Money If I Have Four Years Until Retirement?